Wheels Of Soul MC is a one percenter motorcycle club founded in Philadelphia, Pennsylvania, USA in 1967. They are a mixed-race motorcycle club, however have a strong black presence. There are other clubs who use the name “Wheels of Soul Motorcycle Club”, who do not appear to have any ties to this club, nor are they classed as a “one percenter” motorcycle club. Wheels of Soul Motorcycle Club was founded in Philadelphia, Pennsylvania in 1967. Details of the clubs expansion are not widely documented, however they are believed to currently be spread across as many as 25 states in the USA. The Wheels of Soul Motorcycle Club logo consists of a red spoked motorcycle wheel. Floating over the wheel is a golden color wing. The motorcycle club use the common abbreviated motto of “WFFW”, standing for “Wheels Forever, Forever Wheels”. Many other clubs use similar, for examples the Hells Angels MC (AFFA) and Bandidos MC (BFFB). Wheels of Soul Motorcycle Club have chapters in as many as 25 states throughout the USA. 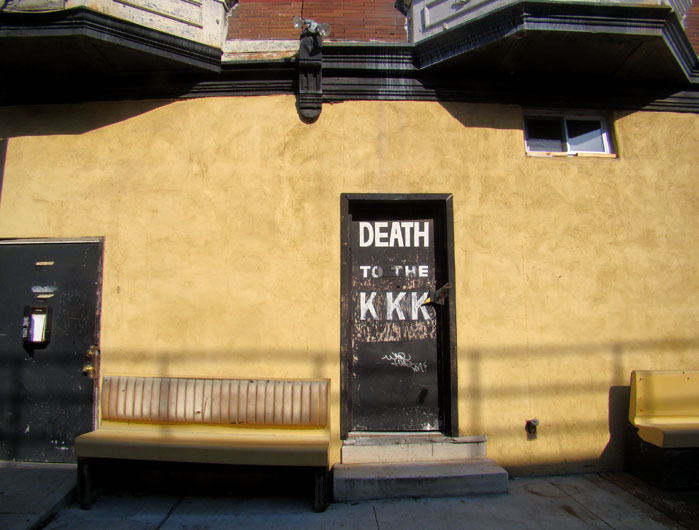 The Wheels of Soul mother chapter is located in Philadelphia, which was also the city where the club was founded. There are no members of Wheels of Soul who would be considered as “famous” in a celebrity sense. Wheels of Soul Motorcycle Club are the focus of the 2005 one hour documentary by Randall Wilson from the Guerrilla Docs studio which is now available on DVD, titled “Wheels of Soul”. See this documentary on Amazon (link opens in a new tab). 2009 – Members of Wheels of Soul allegedly shot and killed a member of the rival Sin City Titans gang in St. Louis. The shooting came weeks after a meeting in which, an indictment says, members were told that the Mother Chapter had declared “open season” on the Sin City Titans. 2011 – January, 2011. A member of Wheels of Soul allegedly shoots and kills a person in Chicago during an altercation with the rival Street Soldiers gang. 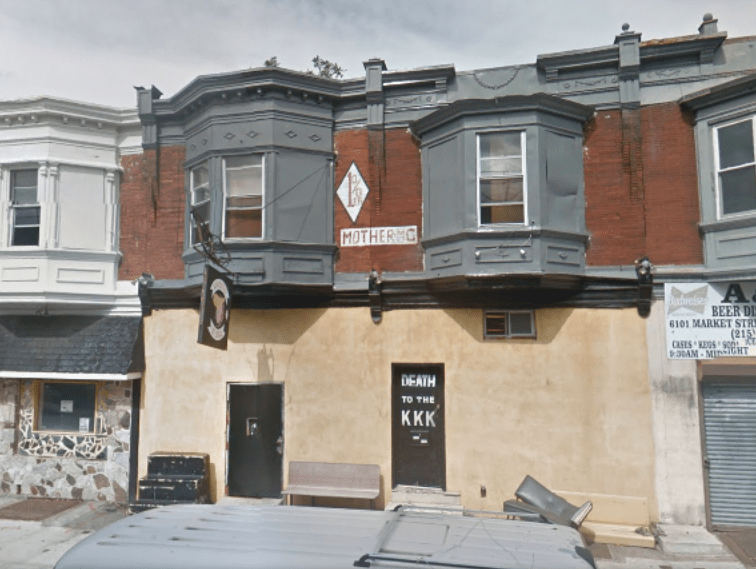 2011 – The Wheels of Soul clubhouse in West Philadelphia is raided by federal agents. 2011 – An FBI investigation, which had been ongoing since 2009, leads to 18 members of Wheels of Soul Motorcycle Club being charged with racketeering and other associated crimes in the St Louis area. It is believed that 6 members from the Wheels of Soul had conspired to kill members of the rival club, Outcast MC in January 2011. 2012 – A further 4 members of the club are charged with racketeering after an investigation by the ATF in the Chicago, Illinois area. 2012 – October/November 2012. From the FBI and ATF investigations that occurred in 2011 and 2012, 15 of the Wheels of Soul Motorcycle Club members pled guilty in plea deals. The remaining 7 members were found guilty in trials in October and November, which saw the jury deliberating for 8 days before coming up with their verdict. 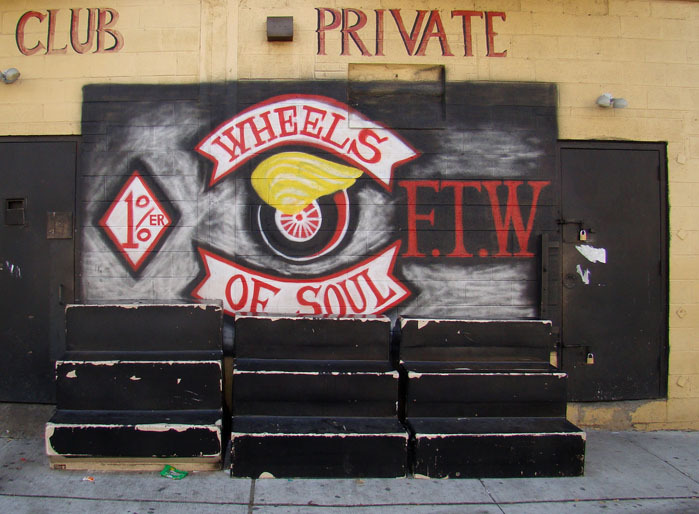 2013 – Shots are fired outside the Wheels of Soul Motorcycle Club West Philadelphia chapter clubhouse. 3 members of the motorcycle club are hit. 2014 – June, 2014. 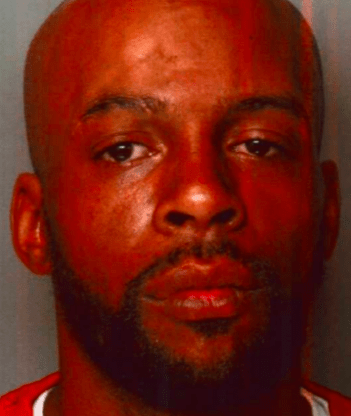 Wheels of Soul Motorcycle Club New York chapter member Christopher Fields is charged with shooting a man to death in a road rage incident. 2014 – 30 August, 2014. Wheels of Soul Motorcycle Club member Steven Hicks is shot dead at a party in Birmingham. Wilbert Hawkins, a member of a sport bike club named Showstopper Motorcycle Club is also killed. It is believed that members of a rival motorcycle club, the Outcast Motorcycle Club came to the event armed with weapons and began shooting. Police linked this activity to the murder of a rapper named Bobby Ray Stewart in a Columbus, Georgia nightclub called The Supper Club on August 23, 2014. Police have also connected that shooting to the beating of a soldier from Fort Benning in the same nightclub the same night. 2014 – 4 September, 2014. Birmingham police announce that an Outcast Motorcycle Club member named James Armstrong was arrested in Atlanta by the FBI and local police. James Armstrong will be charged with the murder of the Wheels of Soul Motorcycle Club member in Birmingham and is being held in Georgia without bond. 2015 – 20 September, 2015. Wheels of Soul member LaBrian Dale-Parker is killed inside the Tangeray Tavern, located in the Lower Northeast of Philadelphia. Three other members of the motorcycle club are wounded in the shooting. Unknown Bikers MC are allies. Outcast Motorcycle Club are enemies. Sin City Titans are enemies. Street Soldiers (street gang) are enemies. Hells Lovers MC are enemies. Wheels of Soul MC DVD. Find out more on Amazon (link opens in a new tab). Wheels of Soul MC Book – Soul on Bikes: The East Bay Dragons MC and the Black Biker Set by Tobie Levingston, Keith Zimmerman, Kent Zimmerman and forward by Ralph “Sonny” Barger. View more on Amazon (link opens in a new tab). Please help us out by hitting the “Share” button so that we can keep bringing you more articles and “Follow” us on Facebook so that you get updated when we release new articles.